Sony has upgraded their Alpha A55 translucent mirror camera, to the new Alpa A57 translucent mirror camera. 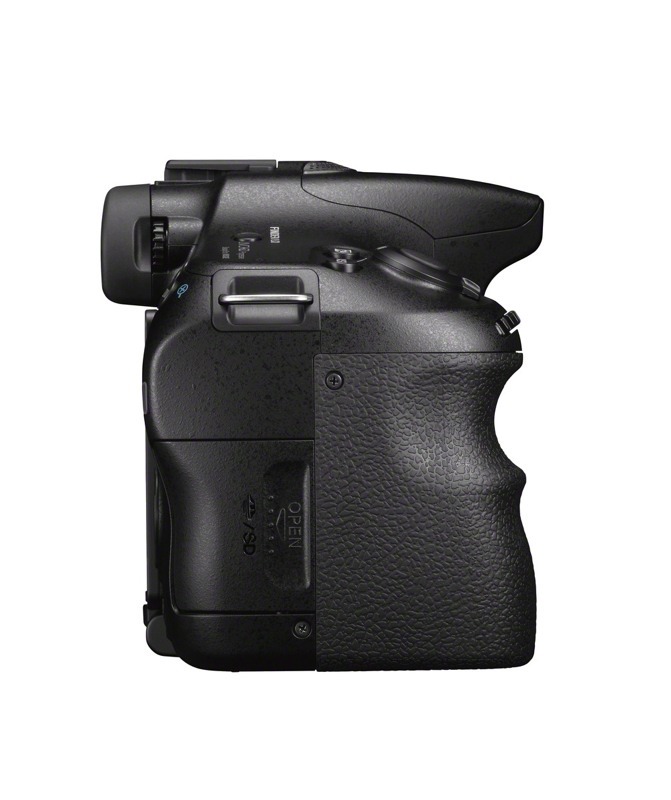 The new DSLR has a higher ISO to 16000 and a faster shooting capability of 12fps compared to the 10fps on the A55. 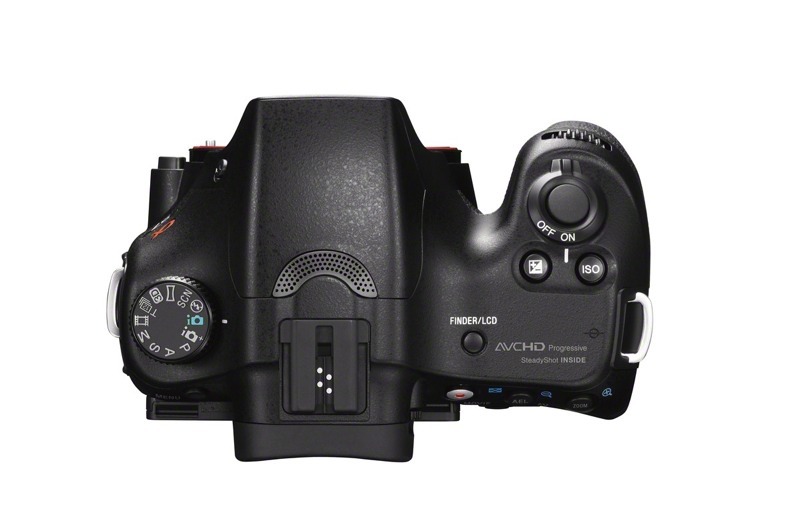 Other features include a 15-point autofocus system, including enhanced object-tracking and quick AF in Full HD. The A57 is equipped with the same 16-megapixel APS HD CMOS sensor from the past and also features a 1920 x 1080 video capability at 60p, 60i and 24p/25p. Bionz imaging engine along with a bunch of new added effects and image tweaks are also on board the new chipset. The LCD is a swivel down type with a 921,600-dot resolution. 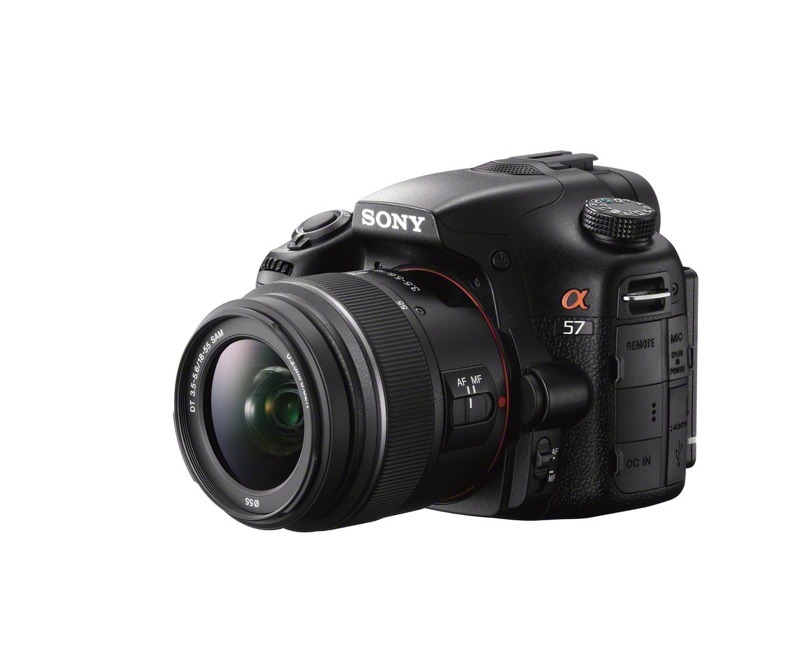 Price is kept at $699 (INR 35,000 approx) for Body only and $799 kit (INR 40,000) with an 18-55mm lens. 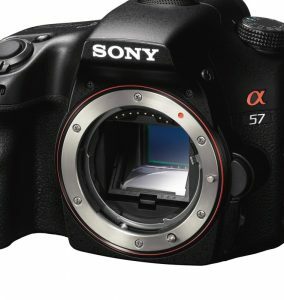 SAN DIEGO, March 12, 2012 — A wider palette of creative options is now accessible to more shooters with the ?57 camera, the newest addition to Sony’s popular line of A-mount cameras employing Translucent Mirror Technology. The innovative Translucent Mirror design directs incoming light to the CMOS image sensor and the AF sensor at the same time, allowing full-time continuous AF during both still and video shooting. Users can also frame, focus and preview shots in real-time on the high-resolution Tru-Finder™ electronic viewfinder, which offers a wide viewing angle and 100% field of view. 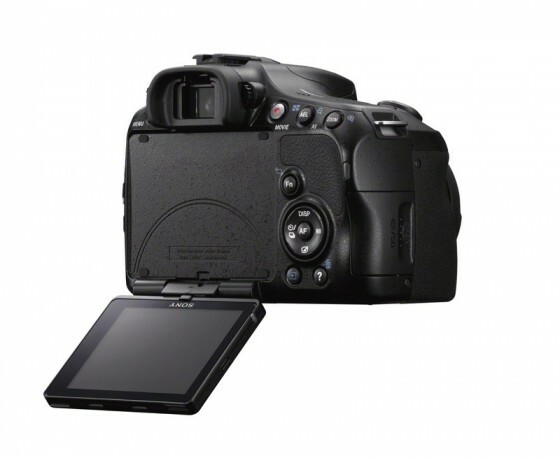 This allows photographers to capture exactly what they see on the screen. With the ?57 camera, shooting speeds of up to 12 frames per second are achieved in new Tele-zoom Continuous Advance Priority AE mode, maintaining continuous auto focus and auto exposure with fixed aperture. Magnifying the central portion of the sensor’s image by 1.4x, it’s perfect for capturing split-second action close-ups with a burst of sharply focused images, even when the subject is moving. In this shooting mode, aperture is fixed at either f/3.5 or the maximum aperture of lens in use (whichever is smaller) and image size of photos is about 8.4 megapixels. 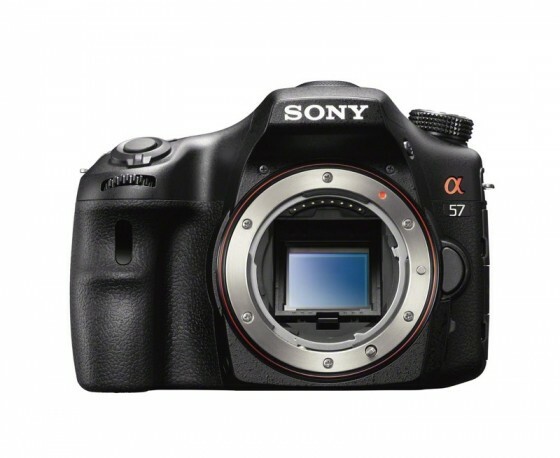 Additionally, the ?57 camera lets people create powerfully expressive Full HD movies. Responsive full-time continuous phase detection AF ensures that moving subjects stay sharply focused, just like with still shooting. Support for the AVCHD™ Ver. 2.0 (Progressive) format means that Full HD resolution movies can be captured with 60p frame rate: ideal for capturing smooth, blur-free action. Shooting in 24p is also available to give footage a rich, cinematic look. Movie-making options are enhanced further with full control over P/A/S/M shooting modes for virtually limitless creative expression. The ?57 model shares the ?65’s 15-point AF system with three cross sensors delivering fast, accurate TTL phase detection autofocus. Newly enhanced Object Tracking AF keeps faces or other selected objects in sharp focus – even if a target is obscured momentarily by another passing object. Even the novice photographers can now easily create pro-style portraits with the ?57 thanks to new Auto Portrait Framing, a world’s first technology. Using face detection and the compositional ‘rule of thirds,’ the camera identifies a subject’s position, trimming the scene to create tightly framed, professional-looking pictures in portrait or landscape orientation while maintaining a copy of the original image. Saving both the original photo plus the adjusted version allows for easy comparison between the two images, offering photographers inspiration to refine their portrait skills. To get closer to the subject, 2x Clear Image Zoom digital zoom technology doubles the effective magnification of your lens and is a highly practical alternative to travelling with a bigger, bulkier telephoto lens. 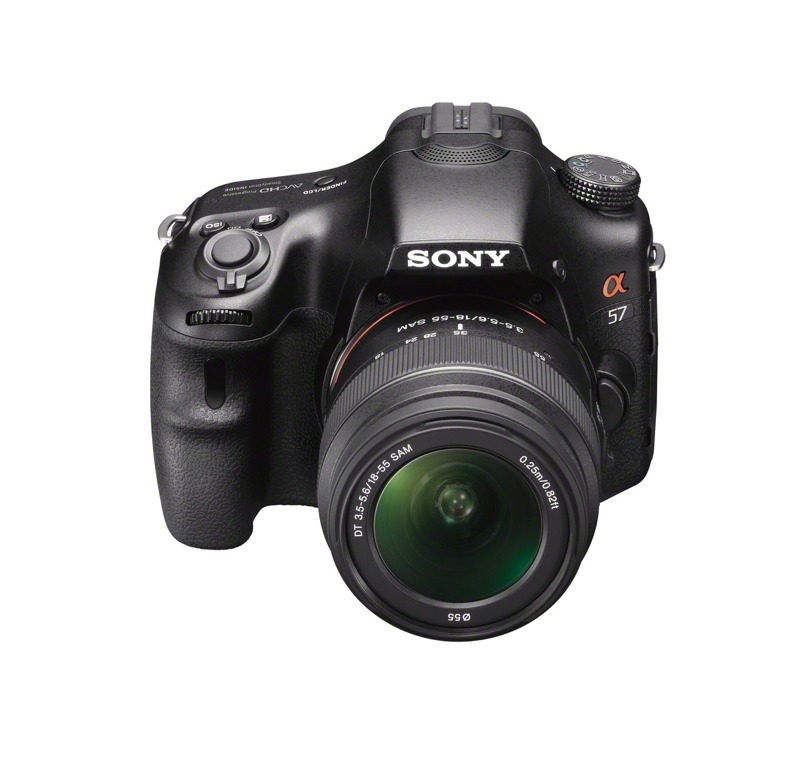 The camera uses Sony’s “By Pixel Super Resolution Technology” to ensure that cropped and zoomed images retain full pixel resolution. Additionally, the model’s range of popular in-camera Picture Effect modes includes 11 different effects and 15 total variations – offering a generous palette of ‘PC-free’ artistic treatments, including Pop Color, HDR Painting, Miniature Mode and much more. Results can be previewed directly in live view mode on the LCD screen or in the new Tru-Finder™ electronic viewfinder while shooting either Full HD video or stills. Still and video shooting, framing, focusing and real-time preview of exposure adjustments are a pleasure with the new Tru-Finder™ electronic viewfinder. With ultra-detailed 1440k dot resolution and a 100% field of view, it rivals quality optical viewfinders. There’s a choice of selectable high-resolution information displays with a wide viewing-angle to help consumers shoot with confidence, including a digital level gauge and framing grid. Information can be displayed either directly in the viewfinder or on the angle-adjustable 7.5 cm (3.0-type) Xtra Fine LCD™ display. Ensuring detail-packed images, the 16.1 effective megapixel Exmor® APS HD CMOS sensor is teamed with a latest-generation BIONZ® engine. Refined by Sony during the development of its flagship ?77 and high-end ?65 cameras, this powerful processor effortlessly handles large amounts of image data for flawless, low-noise images and Full HD video. Thanks to the BIONZ processor, creative shooting opportunities are boosted by an outstanding sensitivity range of ISO 100-16,000. Users will experience consistently natural, low-noise images – whether shooting at fast shutter speeds to freeze dynamic action or handheld without flash in low light. 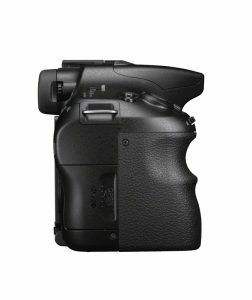 The new ?57 interchangeable lens camera will be available this April with an 18-55mm kit zoom lens for $800 (model SLT-A57K). It will also be offered as body-only for about $700 (model SLT-A57). Sony will also be introducing a new battery-powered LED video light, model HVL-LE1, which broadens options for recording video indoors or in low light. This new accessory will be available this month for about $250. The camera, camera kit and a wide variety of Alpha accessories are sold at Sony retail stores (www.store.sony.com) and other authorized dealers nationwide. whats 60i/p 24p25 p?? is it not 60fps?? ?